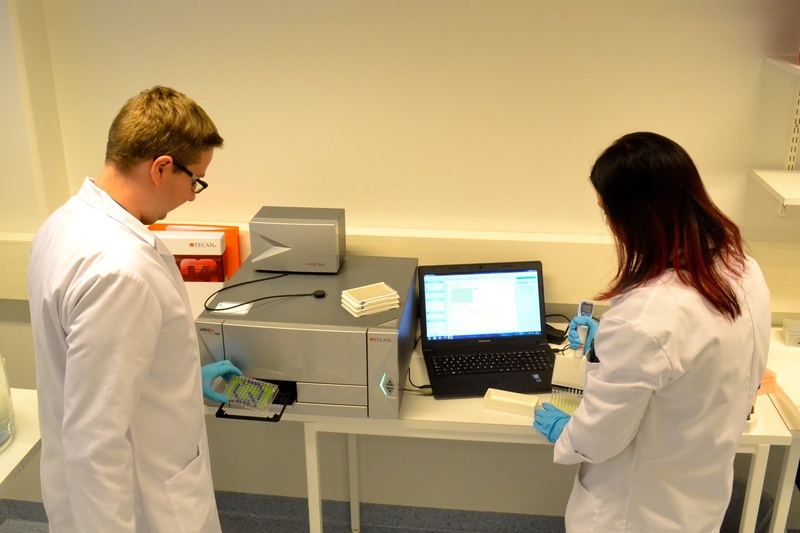 Scientists at the Aqsens R&D site in Turku, Finland, are focused on developing assay chemistries and portable readers for environmental monitoring, clean technology and life sciences applications, with an initial emphasis on the oil industry. Using its expertise in liquid fingerprinting, the Company has established the AQSENS™ Q-technology platform, offering quantitative and qualitative analysis of liquids or dissolved solids. 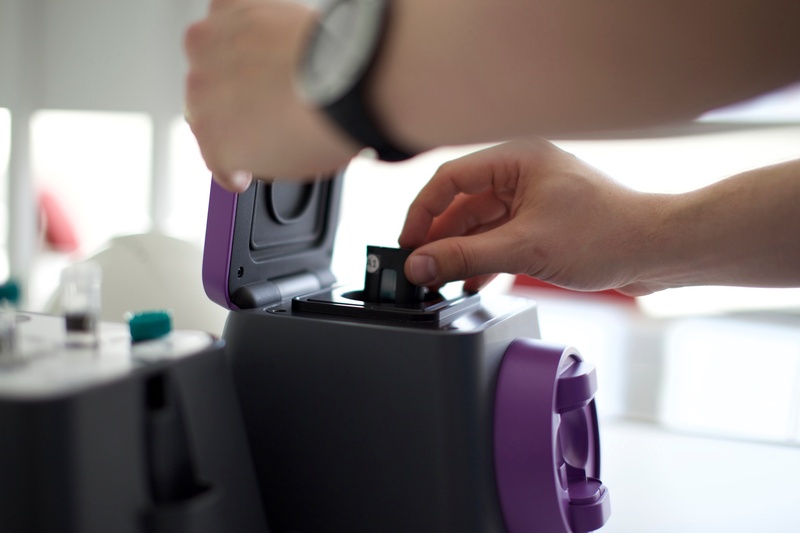 This versatile technology is ideal for industries requiring rapid, accurate on­site analysis, and forms the basis of the recently launched KemSens™ SI – developed in collaboration with Kemira Oyj – a rapid, portable testing platform for monitoring residual scale inhibitors in oil field-produced water. Joonas Siivonen and Satu Tiittanen using the Infinite M1000 PRO. We knew straight away that the Infinite M1000 PRO would meet our needs. The system combines TRF with specific chemical modulators. “The Infinite M1000 PRO has proved more sensitive for our applications than most filter-based instruments, and also gives us additional flexibility. The ability to control the gain setting is a really big bonus, allowing us to adjust the instrument’s sensitivity and detect TRF signals at a much lower level than was previously possible. The Infinite M1000 PRO has also enabled us to determine the optimum wavelength and measurement settings for our chemistries, establish manufacturing specifications for our TRF reader, and validate the assay protocols." "The final product, using the Aqsens QS platform, offers oil producers a fast, accurate means of monitoring residual scale inhibitors on site. Sample transfer is eliminated, reducing the likelihood of a mix-up, and the results are available in around 15 minutes, which is a huge difference compared to off-site laboratory testing. Sensitivity is improved too, and residual scale inhibitor concentrations as low as 1 ppm can now be detected,” concluded Joonas.